Foodalution: A big hug of thanks and Some Awards! Wowsers...! I have made it into Round 3 of Project FoodBlog!! I feel so blessed and excited! I have never made it this far in any competition...(knock on wood)! I love the challenges and adore visiting all of the amazing blogs that I have been newly introduced to! Thank you for all of your encouragement and support throughout this competition! Just want to send out a big hug of thanks to Kristy at My Little Space... she has been sending me lots of encouraging emails from the other side of the world! If you have not checked out her fabulous baked treats on her site... do so today! She is an amazing baker and a beautiful person with a very kind heart! 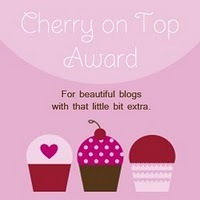 She was sweet enough to give me the following awards for my blog. 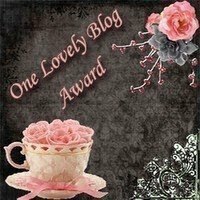 I love these awards as they are feminine in nature and honor the true spirit of blogging.... doing what we love with a heart! Thank you Kristy! And now... to pay it forward to others with inspiring blogs! 1)Well Rounded Table - This is my sister Molly's blog... She is a competent, amazing and dedicated cook and baker, mother, nurse and wife with an amazing attention to detail and loads of patience! Go Molly! 2) Artistta - Therese follows the principals of Sally Fallon.... and I am a huge fan. Wholesome foods....and beautiful art to boot! 3) Les rêves d'une boulangère - Brittany.... all the way in Australia is an amazing baker with oodles of tasty treats.... check her out! 4) The Technicolor Kitchen - Patricia..... ooooh Patricia... she bakes likes a queen if a queen really did her own baking- and her photos will make you drool! 5) The Cilantropist - Amanda.... so much fun and love are poured into her blog and recipes. She loves what she is doing and does it with Heart! More awards to be offered! - Check back soon! On to our birthday boy's weekend extravaganza. It began last night and will not end until tomorrow morning! Family Feast last evening, triumphant Boy Party this afternoon, and the Morning After Recovery Breakfast tomorrow morning! I am attempting an Indian Jones Pyramid Cake... cross your fingers that it works out! Words used to describe me were way too kind, haha!! congratulations on making it to Round 3! Looking forward to your dinner party! Wooo..hooo...Congratulations, Megan! I knew it you going to make it to round #3. So, are you ready for the 3rd challenge? ^_^ Keep on the good work. Wishing you the best of luck. You're getting near, honey. p/s you deserved the award. Congratulations on making it into the next round at the FB challenge, and congrats on some well deserved awards!! I can't wait to see what you make for the next challenge! And well done your well deserved recognition too and getting through to the next round. Keep baking/cooking because you do so well!! Thank you so much for you kind words and the award! :-) Congratulations on moving forward in PFB!!! It looks like you had a wonderful dinner party. Good luck with the voting and of course you have my vote. Thanks Megan! You are an awesome sister and I love you so much. I am excited for my oven to work again so we can resume our weekly baking sessions. Lots of thanks and love. You are far too kind and sweet, Megan! Thank you for the lovely words, I deeply appreciate it!